JIRBNZ is a body formed by the members of the Jewellery Trade for the benefit and good of all in the Jewellery Trade. Industry groups within the Trade contribute to JIRBNZ by means of a corporate membership levy on behalf of their members. JIRBNZ individual members then receive a subsidized Apprentice Registration rate and reduction in training fees totaling $1426.00 throughout the term of the apprenticeship if they are members of a contributing corporate member group. JIRBNZ does recommend individuals members do join one of the contributory industry groups. The Jewellers Association of New Zealand (JANZ) is a Specialist Trade Group within Retail New Zealand. As the collective voice for its jewellery retailing and wholesaling members JANZ is pleased to support the jewellers of tomorrow. As well as benefiting from access to free Advisory Services, savings, lobbying and resources that contribute to operating more efficient and profitable businesses, JANZ members also raise and discuss issues affecting their industry via an elected JANZ Executive Committee. 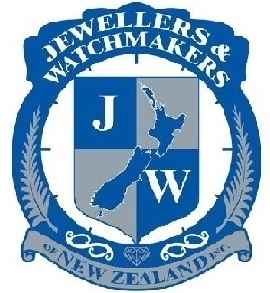 The Jewellers & Watchmakers of New Zealand Inc. was formed in 1983, from an amalgamation of the Jewellers Association of New Zealand Inc., formed 1944 and the New Zealand Horological Institute, formed in 1936 and renamed the Watchmakers Institute of New Zealand in 1983. Today the JWNZ Inc. is at the forefront of industry, leading by example and reflecting today's industry needs. The Watchmakers Institute of New Zealand - WINZ - is one of two specialist bodies within the Jewellers & Watchmakers of New Zealand Inc. The Watchmakers Institute of New Zealand promotes the training of apprentices and additional technical training of qualified tradespeople. This, in order to enhance and maintain the skills its members require, maintaining the ever-increasing range of timepieces both and new, available in New Zealand. The Goldsmiths Guild of New Zealand - GGNZ - is one of two specialist bodies within the Jewellers & Watchmakers of New Zealand Inc. Formally the Jewellers Guild of New Zealand. The Goldsmiths Guild of New Zealand promotes the training of apprentices and additional training of qualified tradespeople. 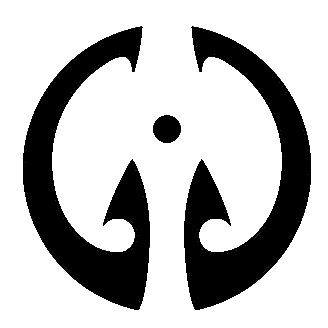 This, in order to enhance and maintain the skills its members require. The New Zealand Horological Institute, NZHI, is the professional association of watch and clock makers and repairers in New Zealand. The NZHI is proud to promote and is dedicated to preserving the highest standards and ethics within the New Zealand watch and clock industry.